Welcome to your own personal paradise here at Woodland Key Apartments in Clearwater, Florida. Our picturesque landscape is characterized by the lush, mature trees we are encompassed with and the winding Long Branch waterway which flows nearby. These vibrant surroundings make our community the perfect place to unwind at the end of the day. Our location is not just beautiful, but it’s also convenient. We are within close proximity to all the shopping, dining, and entertainment that you love without feeling overtaken by the city. The moment you step into our apartments you will feel like you’ve come home. Our two floor plan options with either one or two bedrooms provide the best in comfort and quality. Each home is full of excellent amenities like brushed nickel fixtures, solid wood cabinets, walk-in closets, and central air and heating. 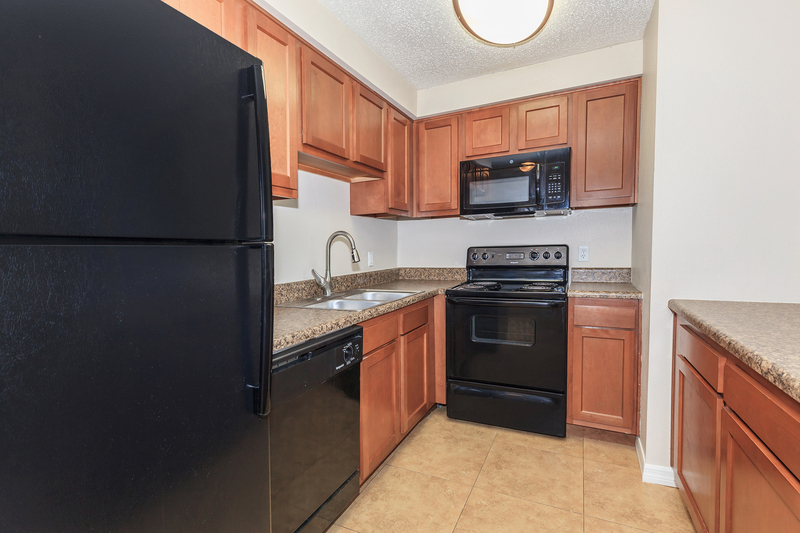 You will love making your favorite meals in our all-electric kitchens, fully-equipped with a dishwasher, microwave, and refrigerator with ice maker. We make chores a breeze with our in-home washer and dryers. 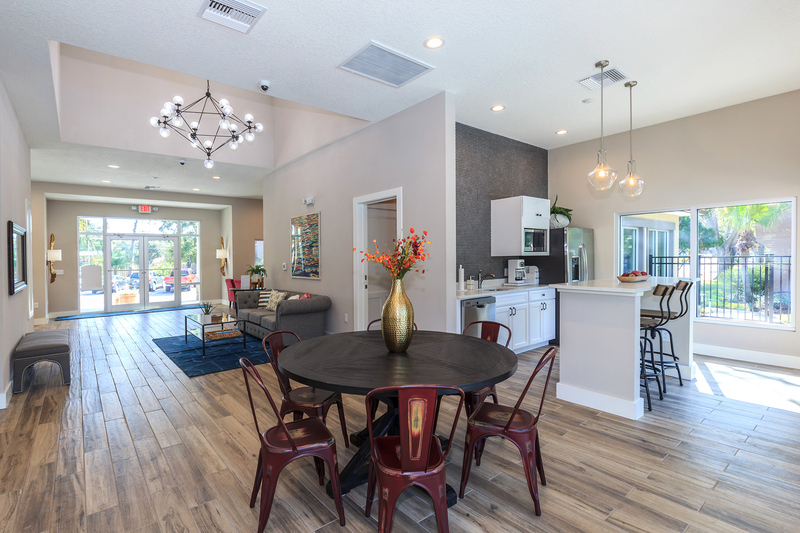 You’ll enjoy every moment you spend at Woodland Key Apartments. We don’t just provide apartment homes, but a community that is warm and inviting. There’s always something for you to do here, whether you prefer to stay active or relax. If fitness is on your mind, you can head over to our 24-hour fitness center or one of our two shimmering swimming pools. If you prefer to slow down and relax, you can spend time with friends at the clubhouse or have a barbecue at our grilling pavilion. Have some fun with the whole family in our play area. Our community is pet-friendly, and we provide an off-leash dog park to make sure your furry friends feel welcome too. Come visit us today and become a part of our amazing neighborhood here at Woodland Key Apartments.